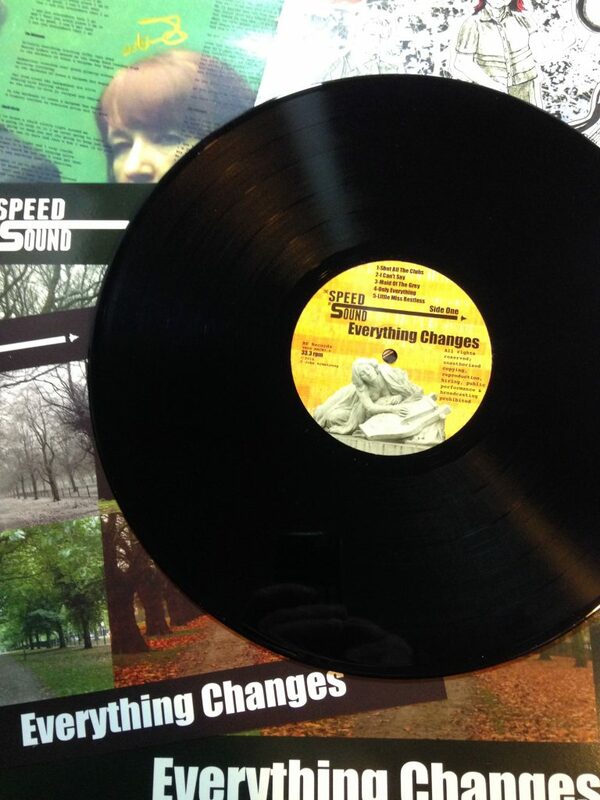 The Speed Of Sound have a long history in the UK underground. Formed in 1989 under the name The Blood Oranges, they were immersed in the cassette culture and appeared on tapes as diverse as the indie pop compilation You Can’t Be Loved For Ever No.2 released by Philip Ball of The Rileys and Feverview to accompany his fanzine, and a compilation from the more experimental/eclectic Hypertonia World Enterprises run by Jan R Brunn. 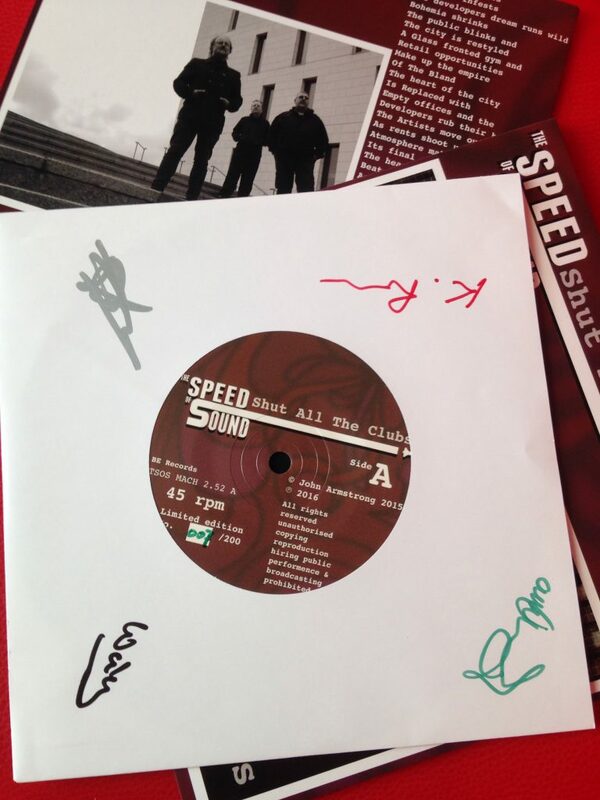 Speed Of Sound have retained their firmly independent ethos under their current guise, stating that they “exist in spite of the Music Industry, rather than because of it and speak from outside its grasping tentacles”. Their latest release is in aid of the Pankhurst Trust, celebrating 100 years since UK women gained the vote, and raising awareness of issues that still have the potential to affect women today. I’m Real is told from the perspective of a woman who has ended up in an unhealthy relationship leaving her stifled and controlled, while I Don’t Want your Attentions addresses workplace sexual harassment. 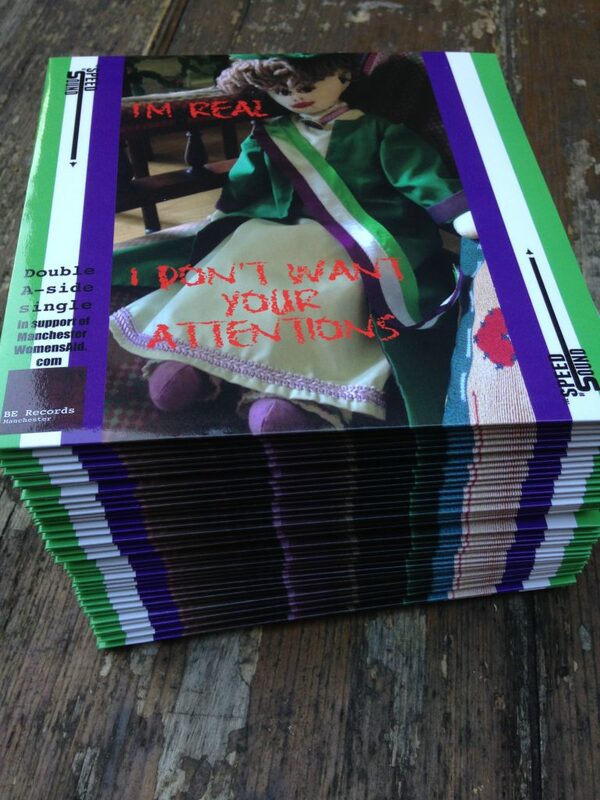 The single is limited to 250 hand-numbered copies, with a label design that cleverly combines the mod target with the purple, green and white suffragette sash. I’m Real is spiky 1980’s indie pop with a clanging guitar sound and an uncompromising punk attitude. I Don’t Want Your Attentions also draws from the punker end of 1980’s indie pop, balancing strong melody with forceful noise, the piece is however just as much informed by hard-edged 1960’s mod and also includes an intricate rock guitar solo, showing that this band have no intention of buying into restrictive rules about genre boundaries. 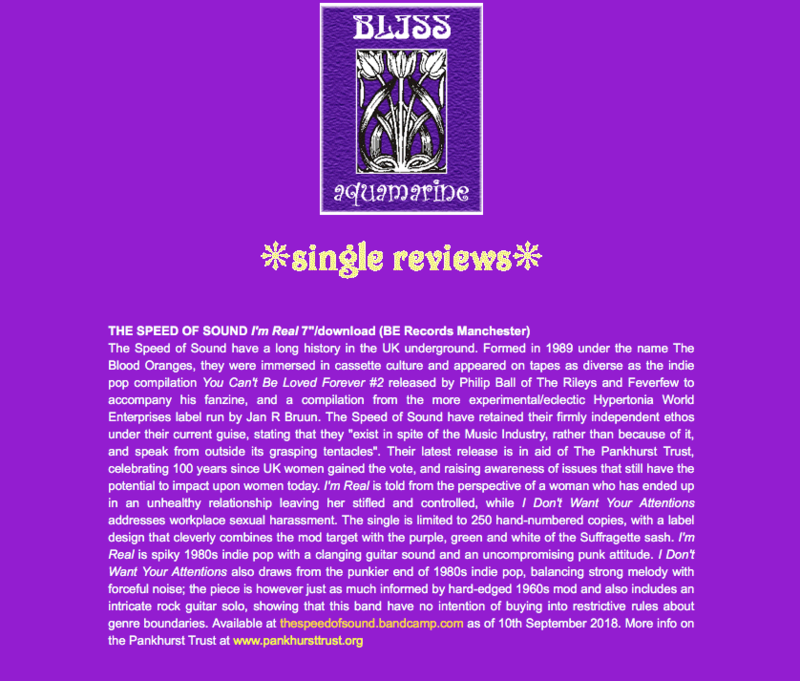 Manchester’s The Speed of Sound have been crafting their genre-melting underground alternative sound (New Wave post-punk blood powered by the heartbeat of 60’s influences) for nearly thirty years now, a time-frame which may have seen progression for women but, as they themselves seek to address with this latest release, we have a long way to go. 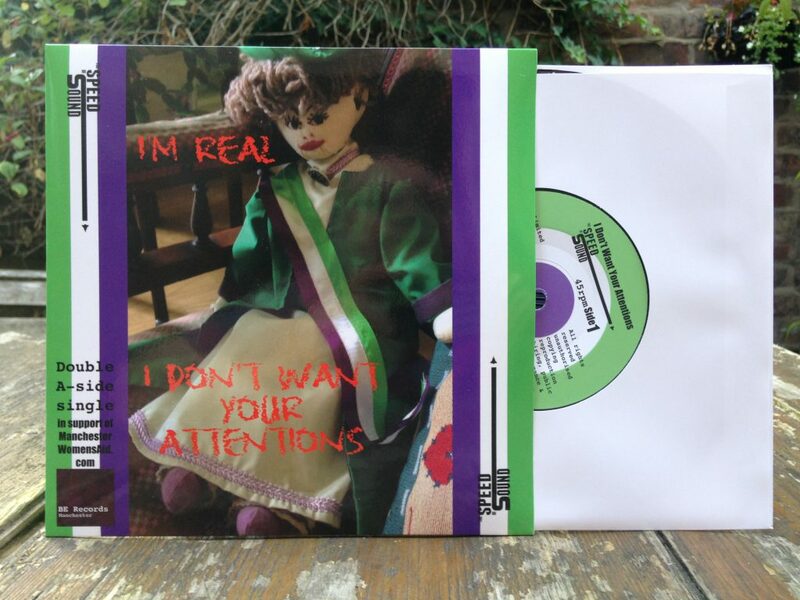 Their new double A-side single “I’m Real/I Don’t Want Your Attention,” has been created to mark the 100th anniversary of suffrage for women, whilst addressing the issues facing women in the modern world. 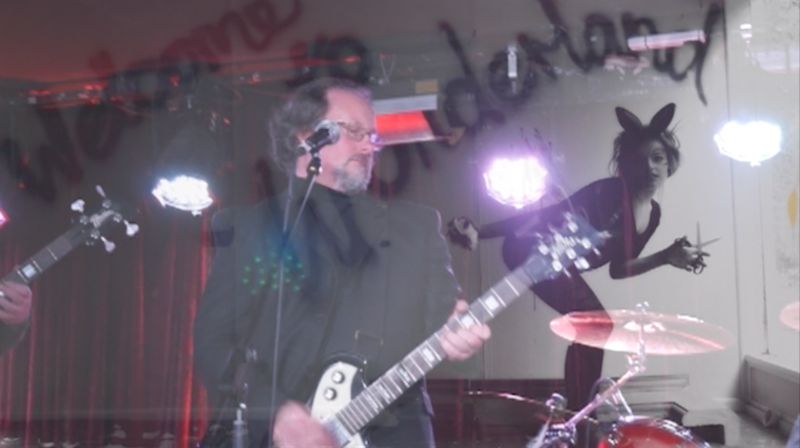 Recorded at the VoltaLab in Rochdale (previously The Cargo, a legendary studio with an impressive post-punk history), the video was filmed in the parlour of Emmeline Pankhurst’s old home, now the Pankhurst Centre -all profits from this release also go to the Pankhurst Centre and Manchester Womens’ Aid – and have drawn heavy influence from sources like Charlotte Newsom’s “Women Like You,” exhibition (pictured).) As ever, John Armstrong has also shown that he really knows how to craft an ear-grabbing melody with both of these songs. “I Don’t Want Your Attention,” sees vocalist Anne-Marie Crowley singing in a fashion both despondent and defiant about sexual harassment in the workplace, whereas “I’m Real” deals with the brutal subject of a possessive relationship. The language used as Crowley tries to articulate all the doll-like things that she isn’t reinforces the problems of the traditionally feminine whilst kicking against them. Both songs have a jangly indie feel which to a casual listener has a sense of optimism: the perfect hook to grab attention before pulling in the listener with the hard-hitting issues at hand. Speed of Sound clearly want us to reconsider the wider representations of women – in history, in social politics, in modern homes and workplaces, and yes, with the music industry – in a fashion that is accessible and far-reaching. Their long-term DIY spirit is full of anti-conventions and the way industry women should be portrayed is another part of that. The objectification of women in popular music, they claim, is part of the problem. “I Don’t Want Your Attention” and “I’m Real,” are both excellent, melodic indie records. But it is the bold and defiant way that they tackle what the band see as a lack of social progression which means everyone really ought to sit up and take notice of what The Speed of Sound have to say. The Speed of Sound, one of the most exciting, long-lasting and innovative bands on the Manchester underground, open the night with a storming set. 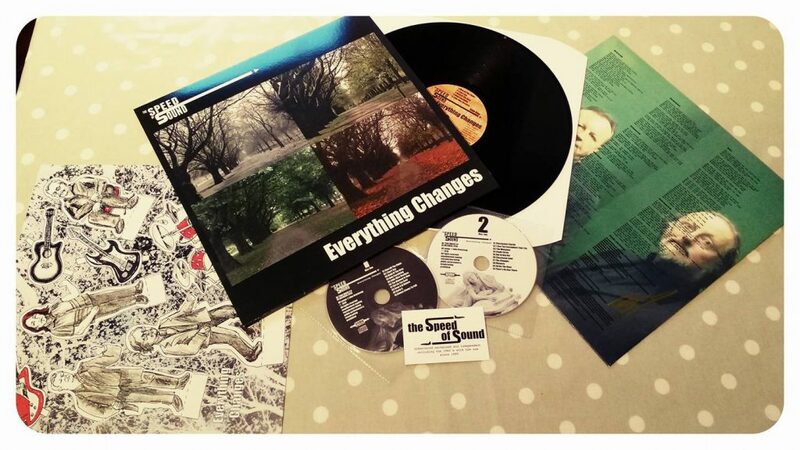 They begin with their signature tune “Shut All The Clubs”, lead single from their acclaimed 2016 album release “Everything Changes”, and a hit with listeners of Manchester and Salford’s numerous underground radio shows. With its lyrics’ biting attack on gentrification and the authorities’ shameless erosion of subcultural lifestyles, it is a real anthem for the culturally oppressed in this day and age. Lead singer and guitarist John Armstrong’s distinctive vocal delivery and guitar style get the music off to a swinging start, complimented by the infectious bass grooves of bassist Kevin Roache, percussion from co-vocalist Ann-Marie Crowley and drum rhythms from Anthony Edwards, standing in tonight for regular drummer Paul Worthington during his break from the band. The band follow with a selection of tunes from the aforementioned album, Armstrong and Crowley swapping vocal duties between songs. Armstrong is a powerful frontman, his modest but lively showmanship and Bryan Ferry-esque vocal style guiding the band smoothly through a set that never becomes dull or repetitive. 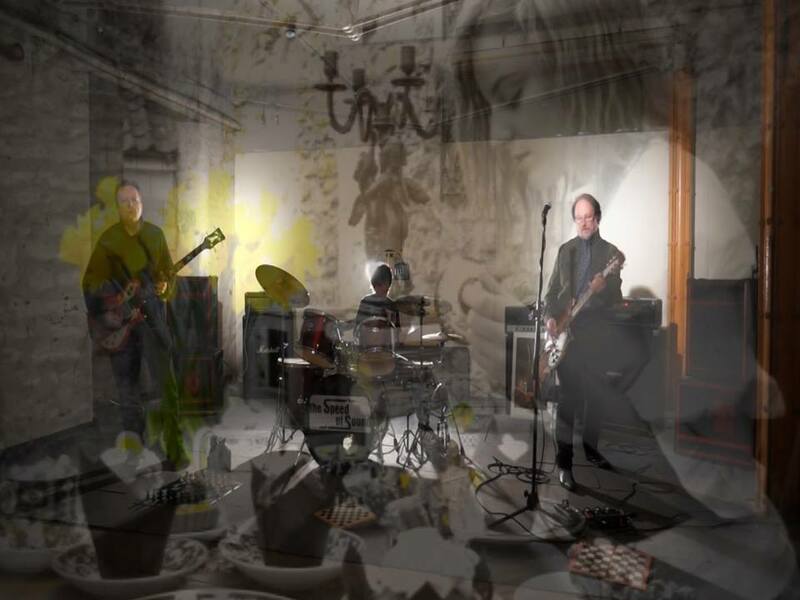 Their music shows distinctive traces of New York art rock and No Wave, often verging on the experimental and psychedelic while never losing its melody or infectious catchiness. Ann-Marie Crowley, herself an understated heroine of the Manchester underground with her previous role as lead singer of Poppycock, is an artist you just cannot help but respect, her vocals on songs such as “The Moment Is Now” at times evocative of Nico with traces of Chrissie Hynde, her stage presence modest and unassuming yet powerful in its very humbleness. This band is about great art and infectious avant-garde pop without the ego or posturing that often comes with bands obsessed with hitting the big time. 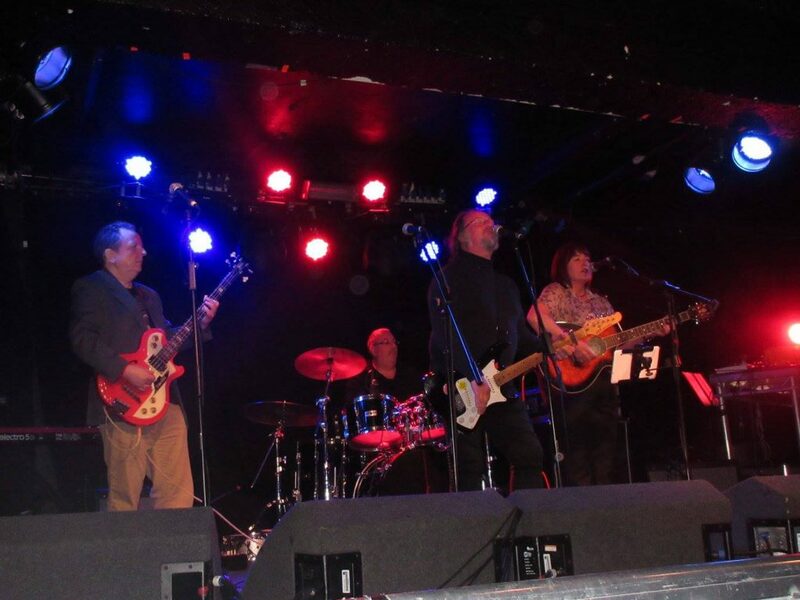 The band’s sound is very strong on both new and old songs, as well as the two cover versions, of The Flirtations’ “Nothing But A Heartache” and their lively cover of The Primitives’ “Crash”. Their set is brought to a close by a striking performance of their 1989 song “Glide on By”. It is hard to find a neat little genre box to put this band into, which is always a good thing. The songs are lead by hooky guitar sounds which are both 60s & post-punk in their sound. John Armstrongs’ vocals have an early Zimmerman edge to them, the lyrics are both rich & complex, & Anne Marie’s vocals add a haunting cinematic feel to the songs. Kevin Roache, bass, & Paul Worthington, drums, provide a sympathetic and driving rhythm section. You’ll find a lot of good things here, & it’s great to hear Anne-Marie taking the lead role especially on the excellent “The Moment Is Now” which has a great pop feel & sounds like something Dusty Springfield would have sung in her pomp. The variety on this album is impressive, with nods to a Californian sound at times, epecially the occasional snippets of Stills/Young guitar breaks. This album has all of the elements of great Manchester pop as well, you will have to invest time in it, as it deserves to be listened to as a whole, Quality stuff! Rock At Night: I was just dancing to the song “Karin B“. What was the impetus for this song? JA: It is quite catchy, if a little strange – the idea had been floating around for quite a while; way back in 1988… there was a ship called Karin B, she was loaded with toxic waste and was repeatedly refused permission to dock at a series of European ports so had to stay at sea moving from harbour to harbour and being turned away at every one. The story reminded me of the legend of the Flying Dutchman – being doomed to roam the sea until redeemed by love – and it got filed away under ‘think about it later’. Twenty five years on, it bobbed up demanding attention. The themes of constancy and change echo through the whole album and is central to the band’s outlook on music in general. Evolution is a necessary part of life and only things that have stopped living don’t change. “The tide will change but she stays the same”. The “no one will ever find her unmarked grave” line is about the intentional sinking (sometimes with the crew) of ships laden with embarrassing cargo – the toxic waste trade of the 80’s involved a lot of disappearances… On another level it makes the listener look sideways at the song a bit, wondering if there has been a murder. So it’s a love song about loss and rejection but open to lots of different interpretations. 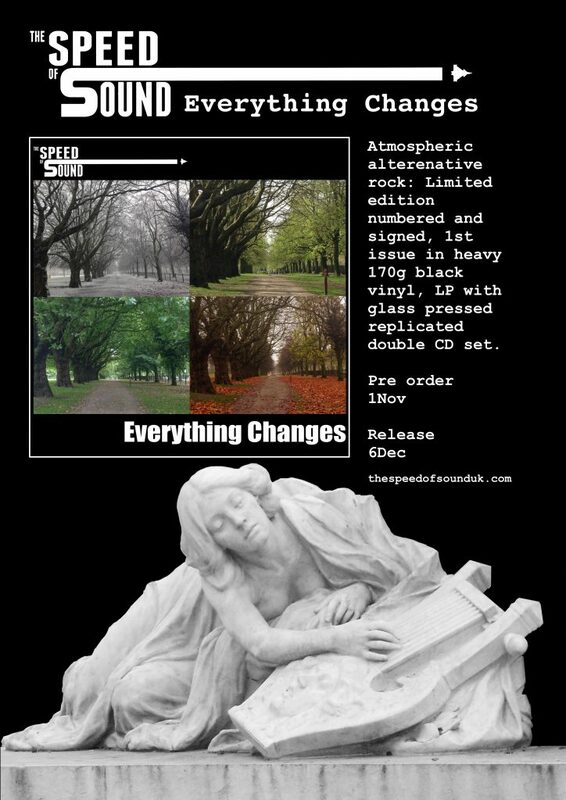 Manchester Alt-Rock maestros The Speed of Sound with their striking new single released March 28th. Originally gigging around the late 80s and early 90s this Manchester act has sprung back to live in recent years and are certainly making up for lost time. Now back to the original male/female vocal arrangement, this foursome combine spikey guitars with perfectly executed vocal harmonies with this excellent track. 2016 looks set to bring many rewards with album plans and plenty of live dates, The Speed Of Sound showing the young kids how its done and succeeding! …I am immediately drawn to say that this has a Johnny Marr (The Smiths) vibe happening the instrumentation in this is carefully organised and I don’t know if Armstrong realises that he is giving off the Johnny Marr vibe in his vocal ability but it’s THERE! The lyrics re a feel-god vibe (similar to Marr) with a post-punk finesse. I had the pleasure of seeing Johnny in the Starlite Room In Edmonton in December 2014 and loved him! I feel that anyone that can pull off this vibe similarly (as The Speed Of Sound have done here) automatically has my attention and admiration… I would highly recommend this band to those wanting to listen to a true brit sound and to hear something new! Rock At Night: I was fortunate to hear the new single which is being released, I do have to say it is really catchy and has a definite 60’s vibe. Please tell me the story behind the song. 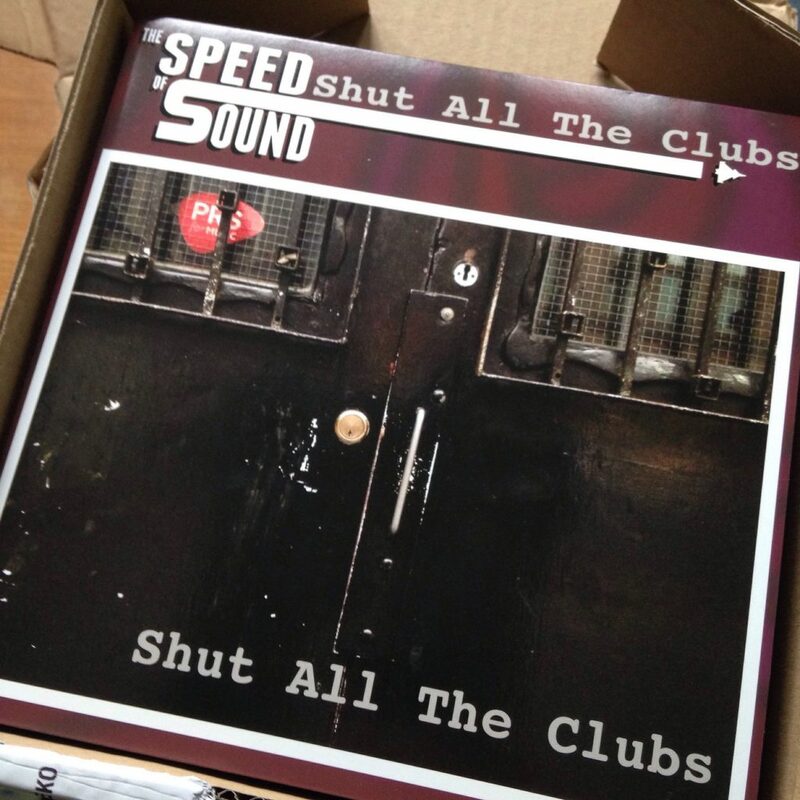 JA: Shut All The Clubs is the A-side of a traditional 7″ 45rpm single and the B-side still comes with it when it’s bought as a download. Its a song with a message. – There’s a lot of music venues, small to medium sized ones that are closing down, local town and city councils don’t seem to value them and these important cultural places are being bulldozed to make way for expensive flats and corporate spaces, offices and gyms and shop-chains. A single complaint about noise can cause a venue thats been there for decades to be closed down. That nearly happened to Night And Day in Manchester. The Star And Garter isn’t actually being knocked down, but it will be completely inaccessible for three years so can’t possibly survive, across two roads from there The Twisted Wheel club has been knocked down – for the second time. It’s everywhere else too, not just here, the whole thing is vandalism. The real cultural assets of cities aren’t valued by the people entrusted with them and they are all becoming sanitised and dull. In ten years time we will all be living in some sort of airport lounge. No independent traders, no culture, every city is slowly becoming the same and all the interesting things that make them great places to live and work and spend spare time are being lost. We’ve been playing the song live since April  and it always gets a good response. The Speed Of Sound’s second album which was released in 2012. Both their albums are widely available on iTunes, spotify etc. The album has a quite modern folk rock feel with a definite dash of 80’s post punk/alt thrown in. Which is no surprise considering all the songs were written in that decade but sound fresh as ever. Vocally there’s a hint of Lou Reed, Iggy Pop, bit of Jagger, great sound. Musically the sound alternates between Rock, verging on heavy/psyche to alt/punk with some great instrumentation along the way. You’ve Got To Move Too starts the album off, zipping along with a jangly guitar sound and scatter gun drumming. ‘English Electric Lightning F6’ up next. Smart bit of bass at the beginning followed by a virtuoso guitar performance on this (almost) instrumental track. Stunning. No Kicks is another great track which will have you singing the chorus whether you want to or not. Track 4 There’s No One There has an edgier vocal and a puncher sound. A song of despair and hopelessness, superbly played, has a fantastic guitar solo over a rat-a-tat drum line. Really like this one. Temporary Fault is another with a puncher edge, hammer drums, angsty vocal and jittery guitars. Has the feel of losing it in bedsit land. Lyrics are insightful and desperate. A wonderfully gloomy atmosphere to this track, ‘Joy Division’ Like!! Next The Changed, more solid drumming and shimmering guitar alongside a fine vocal. Track 7 is Uhrwerk. It opens with a fine guitar solo and quickly turns into one of the best tracks on the album. Heavier, rocking sound, musical perfection with an instrumental section towards the end that will blow you away. 8 is Sit By The River and it sounds exactly like you are. An eighties indie feel, summery and upbeat. A foot tapping, head nodding sing a long. If you close your eyes you can almost feel the breeze washing over you. A nod towards environmental concerns on tracks 9 & 11, Torrey Canyon and Throw It Away, both tracks awesome with snippets of genius. I especially like the cool little guitar breaks on Torrey Canyon, reminds me of something, can’t think what, I like though. Sandwiched between these two is Intercept, 42 seconds of backwards magic! The final track and for my money the best is Overlooked, a superb opening sound, very cool, subtle, fuzzy guitars, tapping drum beat, lead breaks floating through the air and an understated vocal. Spoken word comes in quietly with the bass and other players mooching along, has an indie sound to this track that a lot of today’s new bands would kill for. Guitar is sublime, this has got to be a live favourite. These tracks have been around for a long time but that just adds to their quality. Can’t wait to hear the new stuff when it’s ready. So check this band out your wont be sorry.